Nothing smells better then freshly toasted nuts and seeds. Don’t believe us? 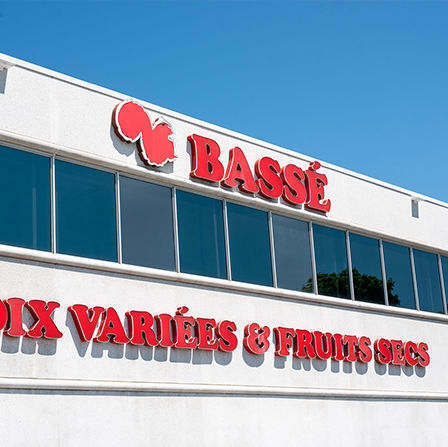 Pass by the Bassé manufacturing facility while we are roasting our mixes and your watering mouth will be the proof! While delicious when eaten raw, roasting nuts and seeds adds depth of flavour, changes their texture and increases the crunchiness of your snack. All types of nuts and seeds can be roasted. From almonds to hazelnuts to sunflower seeds, you can choose to toast them in their natural state or enhance their flavour with a sweet coating or savoury spices. You can use a pan or toaster oven to roast, but we recommend oven roasting your raw Bassé products for a more even, golden brown result. Pre-heat your oven to 350°F (175°C). Spread nuts and seeds on to a parchment paper lined baking sheet in a single layer. Roast for 5 to 10 minutes, shaking the pan lightly to re-distribute the nuts at the halfway mark for an even roast. Certain bigger, denser nuts (like Brazil nuts) may require a longer roasting time. 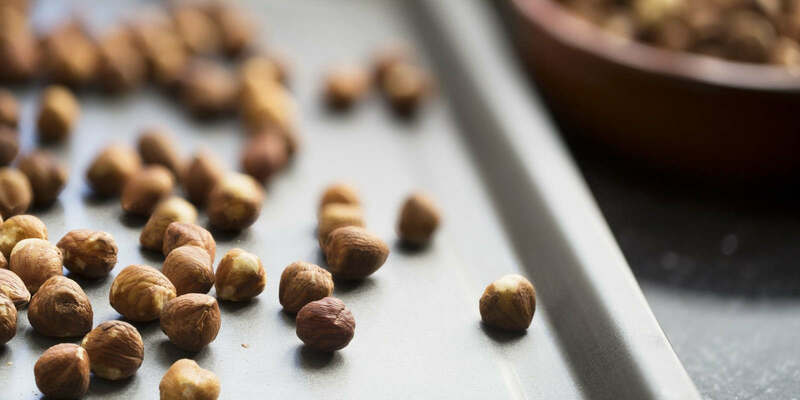 Don’t step away during the roasting process, nuts quickly turn from just right to over-done. They should turn a shade darker and you’ll know they are ready when they smell absolutely delicious! Cool completely and enjoy! Adding a light coating of oil (such as walnut oil or grapeseed oil) to your nuts and seeds prior to roasting is a delicious way to amp up the flavour of your salad-toppers and snack mixes. Avoid adding oil to nuts and seeds to be used in baking, as it can increase the greasiness of your recipe. Flavoured nuts and seeds are dangerously addictive snacks, perfect to keep on hand for guests or to be added to your popcorn on movie night. They also make for beautiful gifts when sealed in a simple Mason jar or plastic sleeve. We dare you to experiment with bold flavour combinations like sugar and bacon, chili and lime or paprika and rosemary. Whether you opt to make sweet or spicy roasted nuts and seeds, we bet you can’t eat just one handful! If you’re looking for a little dinner side dish inspiration, why not try our recipe for roasted asparagus with Parmesan cheese and toasted slivered almonds.